Wanna know what crops local farmers are producing? There’s an app for that or at least there will be one soon. 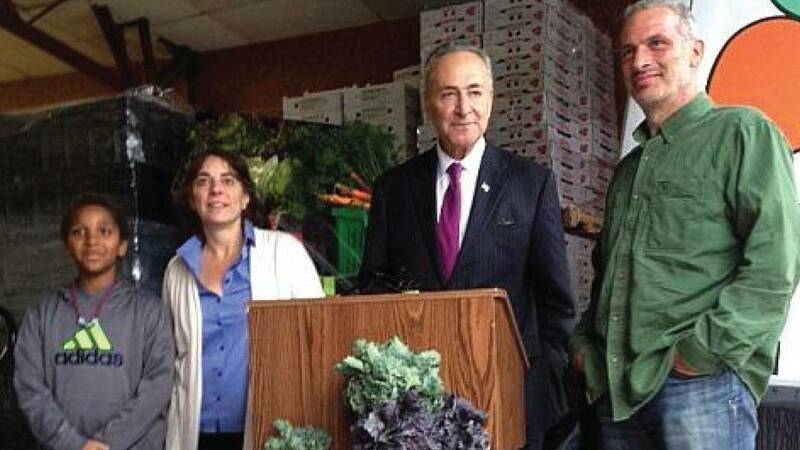 Senator Chuck Schumer announced federal funding for Greene County food distributor, Field Goods to integrate technology into their business model. Donna Williams’ company Field Goods connects many of the Capital Regions and Hudson Valley farms with a larger diverse consumer base, but it can be tricky. The yet unnamed app would allow farmers to give real time information on the produce they’ll be sending to Field Goods for distributing. Senator Schumer says supporting a company like Field Goods benefits upstate agriculture. The 50-thousand dollar grant is through the USDA and should help stream line communication between the 70 local farms Field Goods works with and their more than 2-thousand customers.